I promise I haven’t been ignoring you guys – I’ve been really busy with a lot of different, fun projects! So stay tuned for some great stuff!
. and finishing up Avery’s baby quilt! I started that thing almost 2 years ago, and finally got the guts to get it over with and finished. 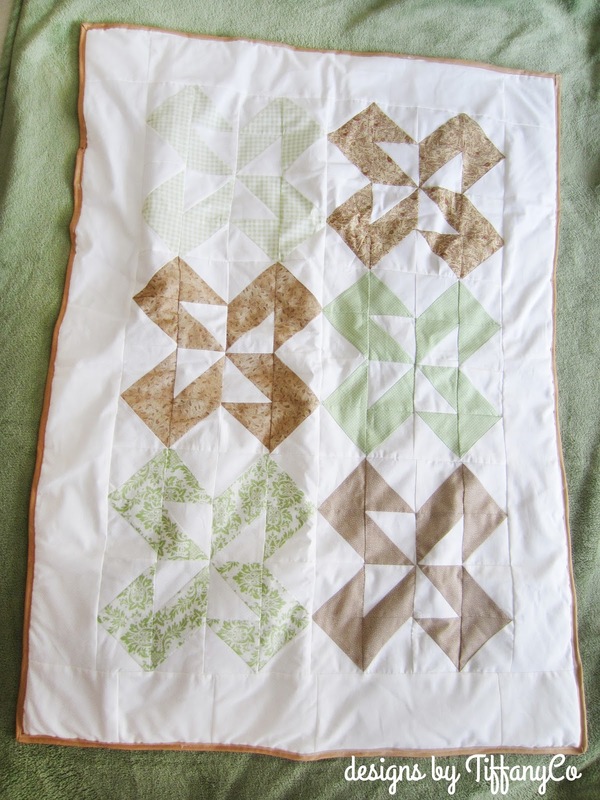 I won’t give a tutorial on how I did this because I am not a quilter and I have no idea how I could explain this and have it make sense. I originally saw this pattern on Google while I was searching for ideas (yeah, this was before Pinterest was invented) and then just made it up because the photo wasn’t attached to any instructions. Well, I miscalculated almost the whole thing (I blame it on the pregnancy brain…) and so I needed to tweak it at the end so I wouldn’t need to buy more fabric. There was supposed to be 3 more orange flowers, but I just cut them out completely so I could finish and not have to recalculate and buy more fabric. I also bought some binding instead of making my own because I thought it would be easier, but it was the worst part!! I kept needing to re-sew over places because I skipped over the binding and created a hole. It was just too small of fabric to work with and it would’ve been a lot easier if I had made my own and made it a couple of inches thicker. So it was a little bit of a headache to work on, but I’m so glad my mom was able to help me out with it. It was my first quilt and she likes to quilt, so she taught me some tricks to help make sure the angles matched up and whatnot. I really wouldn’t have finished it without her help! 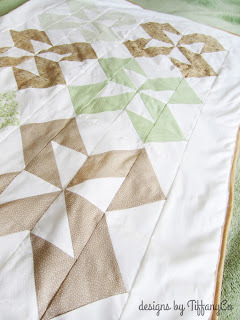 I love how that quilt turned out. 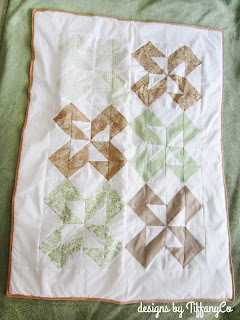 I think all quilts, for the non quilter hobbiest, take an average of 2 years to complete. The important thing is that you did it!